Nah, Nah, you got it all wrong. I am not writing a Romantic post here. Psst...let me tell you a secret, though I am a sucker for Romance, I hide it quite well with my brash attitude. There, now it is out in the open. Sweet Nothings is a part of the 'Cooking Disasters' series, and my dish was actually on the verge of becoming, a Sweet NOTHING. Come festival season and the women in Indian households go into a cooking overdrive. My FB wall is plastered with orgasmic pictures of delicious dishes, posted by many a budding 'Nigella Lawsons' (I think she is too hot). Many of my old readers know that I am repelled to cooking and I really have nervous jitters, when there is a party at my place (I pretend to pass off restaurant bought food as my own..just kidding). I feel that the 'cooking gene' was really watered down by the time it was passed over, from my Mom to my two older sisters and finally me. To come back to Sweet Nothings, this 'Ganesh Chaturthi' I decided to make 'Ukdiche Modak' or sweet dumplings or Momos, made from Coconut, Sugar and Rice Flour. I know, it was either brave of me or I was just being plain stupid. I girded my loins and dove in deep into this uncharted territory. I followed the instructions of making the sweet filling for the dumpling, by cooking the coconut and sugar together. If you will notice, that in all cookery shows, the cook will never tell you exactly as to how you can recognise when the dish is actually cooked and it is time to switch off the heat. In my over enthusiasm, the mixture got over cooked and was on the verge of becoming dry as a sand, before I rescued it. Next came the turn of the Rice dough for the dumplings. The dough needed to be cooked in boiling water and thankfully I was able to avert a mishap. The third step was to knead that scalding dough till it became softer. That lump of dough resembled a blotch of lava fresh out of a Volcano, only that, it was white in colour. I put my fingers in it and out came a string of cuss words starting with 'WTF' followed by '@#$%^^', from my mouth and not my fingers. I had to wait a while so that the lava was cool enough to knead. After bashing the hell out of that lump of white, I worked on making a dumpling. Believe me, If I would have studied with that much fervour and concentration that I used to make the dumplings, I would have gone places. My first two attempts were a total washout. Those damn suckers kept expelling the sweet filling. Try as I might, I lost that battle. I had to make 21 dumplings. not counting the two defectors. It was a long road ahead and my patience was already wearing thin. I kept at it and finally managed to finish making all the 21, without putting my fist through the wall. I steamed them and Voilà the dish was ready. It was offered to Lord Ganesha as Prasad. As per my Mom and my eldest sis, this dish was not too hard. Them, who slept and dreamt cooking, all dishes are easy. This word 'easy' can be quite misleading, so never fall for it when someone says the dish is so easy. It sounds as easy as sharpening a pencil but the dish always turns out to be extremely complex. Have you had any cooking disasters lately? We are birds of feather :) Thanks for dropping by Suresh. Rightly said sis :) our mom is genius when it comes to making food..
Hahaa Renu that used to happen to me too...I have now learnt the trick of making a perfect dosa that comes out quickly.. I can write a thesis on that mishaps and disasters .. From making the element in the over go KAPUT .. to using BESAN instead of maida to make a cake ..
adding salt instead of sugar and what not .. They look pretty decent to me! We do have this delicacy made at home occasionally. I totally agree with PURBA RAY's comment : "They look pretty decent to me!" Thank you for sharing this.. I used to read your blog entries thru the email notification. Today I chanced to read it from your website. I must say, your webpage took awesome.. Wish I had one like this, but I don't have enough good contents either. ("Deserve, then desire")..
OMG Besan instead of Maida? hahaha I wonder how the cake turned out to be. You must blog about it Bikram :) am all eager to read your misadventures in the kitchen. Oh yes they can. Thankfully none of mine did so am Happy . Thanks Zephyr.. 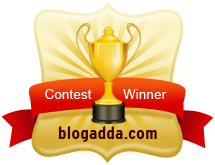 Thanks Vinisha :) welcome to my blog. The modaks look yumm and wonderful! i've never had a cooking disaster so far, perhaps that is because I've been married only for a year and a half and that's precisely the time I've been cooking. Time has to say. So far so good. Hope Ganpathi pappa enjoyed them. First of all, I really like your new blog layout. And, like you, cooking is not my strong suit and I panic whenever invited to a "potluck." Kudos for giving it that good ol' college try. ThanK's Jinto for subscribing to my blog :-) Yes they did turn out fine eventually. Keep writing your posts and you too will have a beautiful blog.